From today we are starting Kids Sudoku section where mini 6x6 Sudoku puzzles for children will be posted regularly. 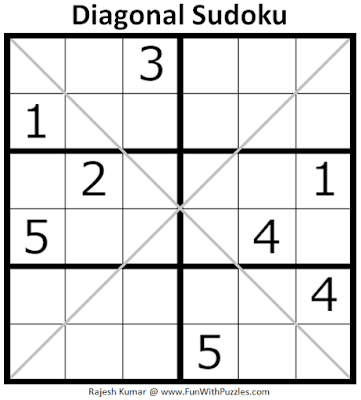 These Sudoku puzzles will be of size 6x6, so that kids can start learning these new Sudoku variation. Starting this series with very interesting Diagonal Sudoku puzzle. 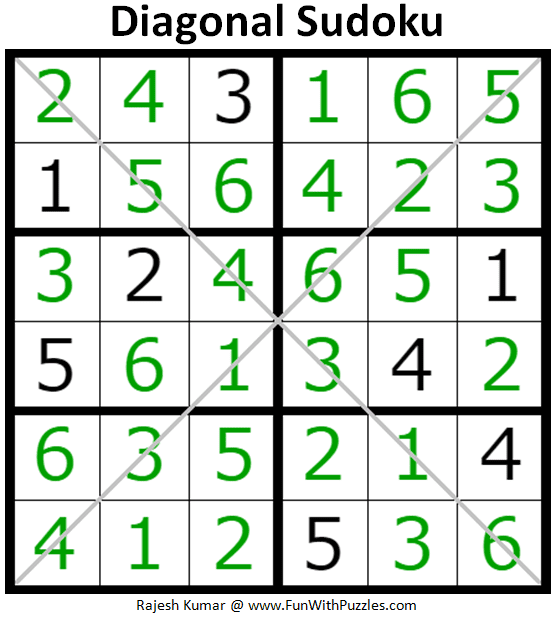 This Diagonal Sudoku Puzzle, I am posting in Sudoku for Kids Series as 1st Sudoku puzzle in this series. 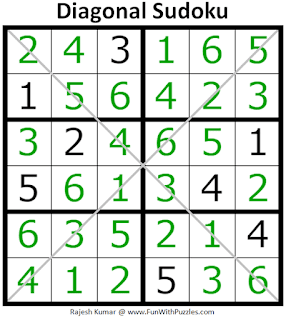 Place a digit from 1 to 6 into each of the empty squares so that each digit appears exactly once in each of the rows, columns, outlined 2x3 box, and two main marked diagonals. Answer can be viewed by clicking on button. Please do give your best try to solve this Sudoku puzzle before looking at the answer.